We love ice cream so much that we are sharing the love by offering $1 small frozen yogurt cones ALL DAY, EVERY DAY! You can get chocolate, vanilla or go crazy and get a twist! If you are wanting a little more, you can get a large for $1.69. 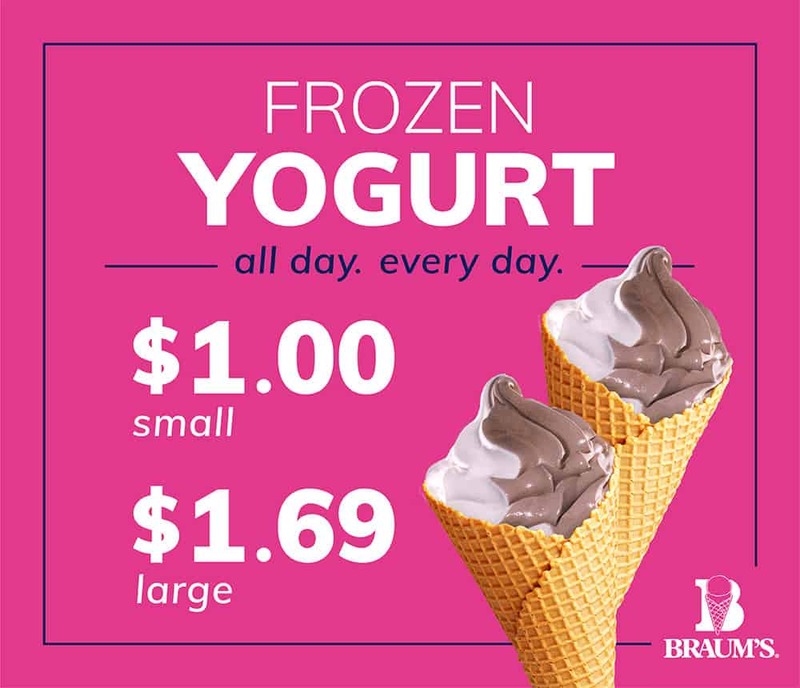 Hurry into your neighborhood Braum’s to get this sweet deal while it lasts.